THE father of a British woman murdered in Kenya 30 years ago said he wants the authorities to get the DNA of the person he suspects killed his daughter reports the BBC. The mutilated body of wildlife photographer Julie Ward, 28, from Bury St Edmunds, was discovered on Maasai Mara reserve in September 1988. Three people were charged with her murder, although no-one has ever been convicted. John Ward, 85, will revisit the murder scene in Kenya in the coming days. Mr Ward’s connection with Harlow is that he founded the Saxon Inn (now the Park Inn) on Southern Way in Harlow. Miss Ward disappeared towards the end of a solo photography safari in Kenya’s Maasai Mara game reserve. She was last seen alive on 6 September 1988, before her burned and dismembered body was found by her father a week later. At the time, Kenyan officials claimed she has been attacked by animals – but they later accepted she was murdered after her father uncovered further evidence. In 2004, an inquest held in Ipswich recorded a verdict of unlawful killing. He said if his daughter’s death was accidental, he would have accepted it by now, but he will not give up on the murder investigation. 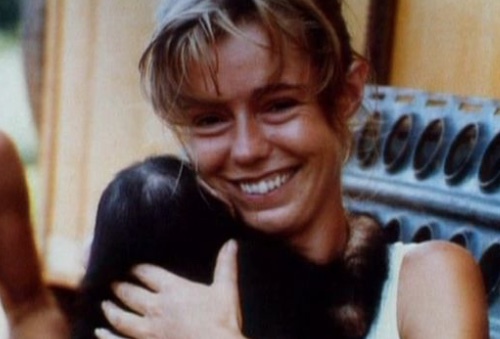 Two game rangers were acquitted of Ms Ward’s murder in 1992 due to insufficient evidence. In 1997, a new team of Kenyan police officers re-examined the case – and in 1999 a gamekeeper was tried and acquitted of the crime.